Presenting the newest mount from Heritage Game Mounts: a hand painted Quail Mount. 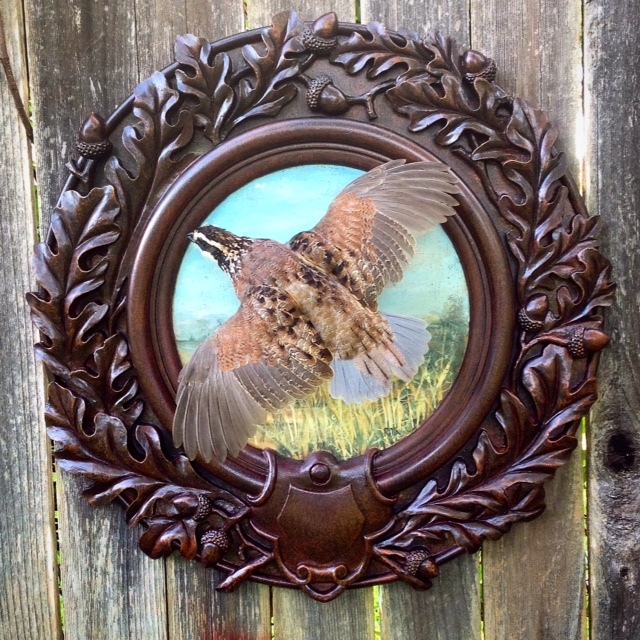 This hand painted quail mount features a taxidermy BobWhite quail flying across a hand painted prairie. San Antonio artist, Rita Schimpff captures a rising quail on her large panel she calls the Heritage Stag – designed to also be used for Elk and Stag it works with birds as well. Do you want to remember that famous ‘quail double’ you shot on a beautiful crisp day? Well, just add one more to the board. 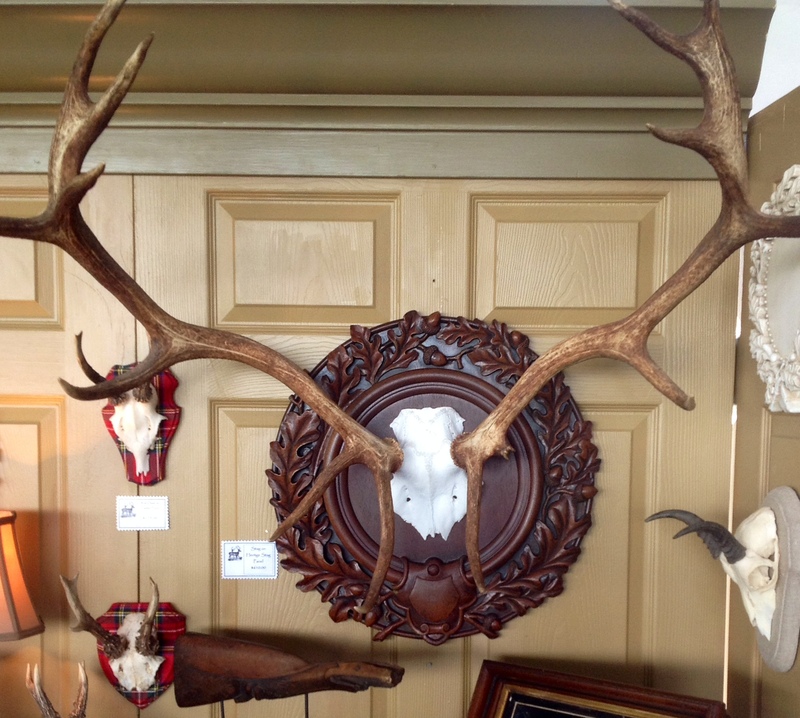 The panel shows off the painting and quail by framing them with ornate oak leaves & acorns – Old World Style.